“I would never be at a sporting event,” Kelly joked, adding that she sees the controversy through a different lens after working in law for nearly a decade. 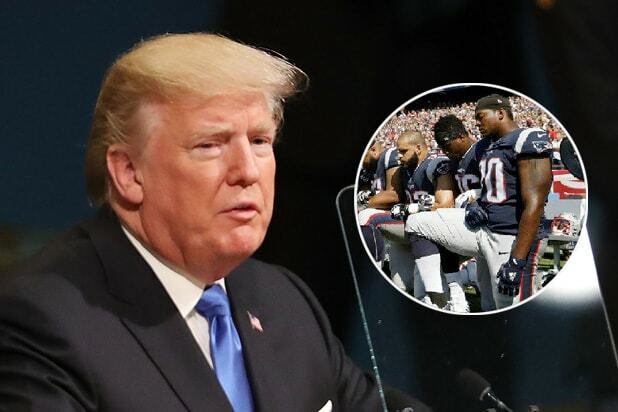 She did not address Trump’s calling players who choose to protest a “son of a b—-” or his call for the NFL to ban kneeling during the anthem, which even more players have done since his Friday attack on the league. You can watch Kelly’s response in the video above. Megyn Kelly’s NBC Primetime Summer Run Is Over – So, How’d She Do?